Are you looking for enrichment programs for your School, Daycare or Camp? 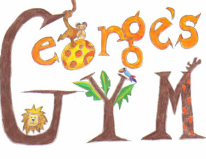 George's Gym's Programs are the perfect solution for your during or after school activities! Choose whichever program works best with your curriculum and whatever amount of time works with your budget and schedule! As with all of our programs, we bring our own equipment and staff and we can work in any space, with groups of any size, age range and level!